Mrs. Page was born January 17, 1920 to James Jamerson and Lottie Jamerson who preceded her in death. Mrs. 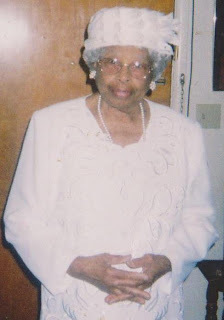 Page passed away peacefully on August 30, 2011, surrounded by her loving family. Sadie Page accepted Christ at an early age. She was a devoted mother and she served faithfully on the Mother Board at the Mt. Tabor Missionary Baptist Church. Her loving survivors are 3 daughters Marva Henry and Pauline Neal both of Helena, AR, Ivory Nell Graham (Clerkley) of Flint, MI, one son Charles House of Detroit, MI, one brother, Stanley Jamerson of Detroit, MI and a host of grandchildren, great grandchildren, nieces, nephews and many friends. Submitted by Stephens Funeral Home Staff.